You get up in the morning to go to work, put the key in the ignition, listening for the whirr of the engine, and nothing. Your Honda will not turn over and start. The most likely cause is a problem in the starting electrical system. Troubleshooting requires that you begin with the battery and move on to measuring voltage in the system. Successful troubleshooting is possible with a digital voltmeter and a little time. Verify that the battery terminals and connections are tight and free of corrosion, oil, dirt and debris. If corrosion appears on the battery terminals and connectors, clean them with baking soda. Detach the negative cable from the negative battery post. Secure the cable so it will not contact the negative battery terminal. Detach the positive battery cable and secure it. Spread baking soda on the corroded terminal. Dip the wire brush or old toothbrush into a cup of water and clean the terminal. If needed, continue with the battery cable connectors. After you have removed the corrosion, reconnect the positive battery cable, and then connect the negative battery cable. Verify that the chassis ground connection on the frame is clean and free of corrosion, oil, dirt and debris. Clean the chassis ground connection with baking soda if the connection has corroded. 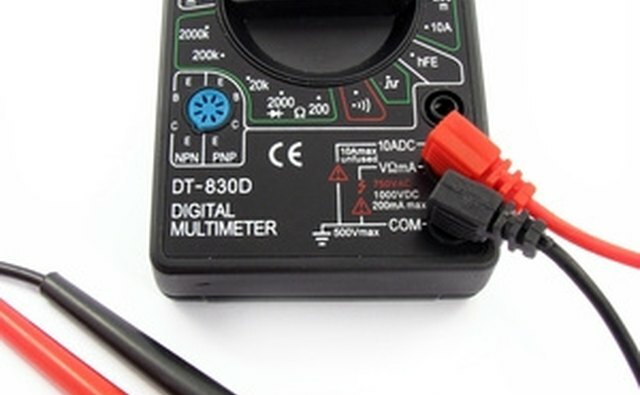 Use your digital voltmeter to measure the resistance from the minus battery terminal to chassis ground. The resistance should be less than anohm. If the resistance is greater than that, there is high resistance or open circuit in the cable. Replace the cable. Set the voltmeter to read DC volts and measure the voltage from the positive battery terminal to chassis ground. The voltage should be approximately 12.6 volts. If the voltage is less than ten volts, place the battery on a battery charger. Measure the voltage across the starter solenoid. 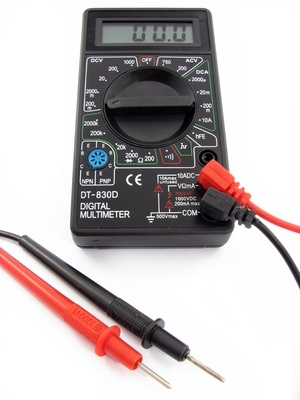 Set the digital voltmeter to measure DC volts. Place the red probe on the starter solenoid positive terminal. Place the negative probe on chassis ground. Have someone turn the key switch to "Start" while you measure the voltage at the starter solenoid. The voltage should be approximately 12.6 volts. If the voltage is correct, remove the negative battery cable from the battery. Verify all starter connections are tight and free of corrosion, oil, dirt and debris. 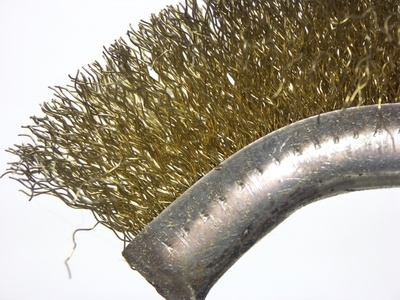 Clean the connection with baking soda if the connections are corroded. Reconnect the negative battery terminal and retest. If the engine does not crank, remove the starter and retest. Follow the wires from the starter solenoid to the starter relay. 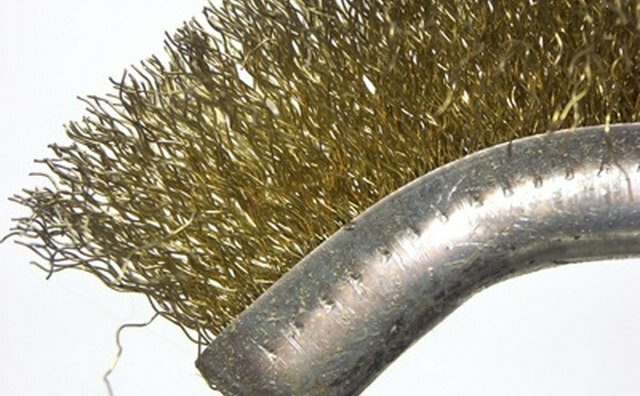 Verify that the wires are free of corrosion, abrasion and damage. Clean or repair as required. Place the red probe on relay terminal 85. Place the negative probe on relay terminal 86. Have someone turn the key switch to "Start" while you measure the voltage at the starter relay. The voltage should be approximately 12.6 volts. If the voltage is correct, repalce the starter relay. To repalce the relay, pull the old one out of the socket and insert the new relay. If the voltage is not correct, then there is a problem with the ignition starting circuit. Look for a broken wire or damaged connection from the key switch to the fuse/relay box. Repair the harness as required.